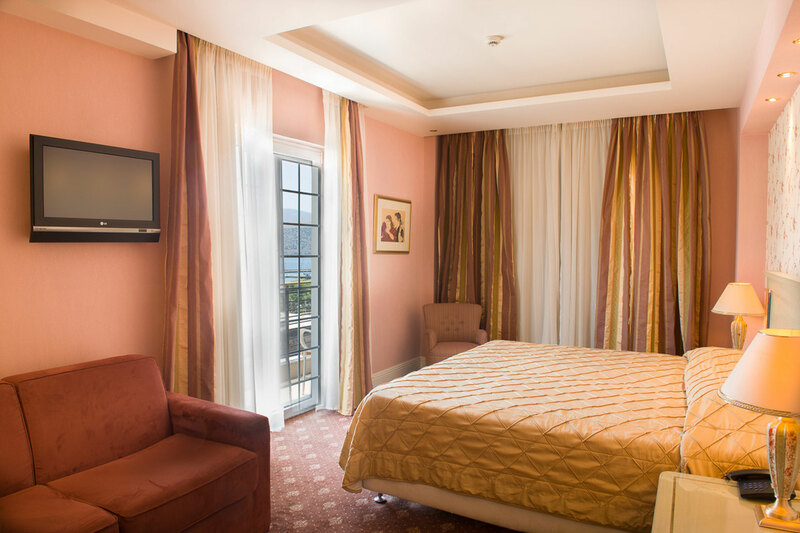 The spacious … guestrooms meet all the needs of the most demanding business or leisure travellers. There are 85 Rooms in all, 55 twins (5 of which are family/connected rooms), 13 triples, 17singles. All Rooms are fully Air Conditioned, Soundproofed and equipped with Mini Bar, Direct Dial Telephone, Hairdryer, Internet Facilities, and Electronic Safe Boxes. 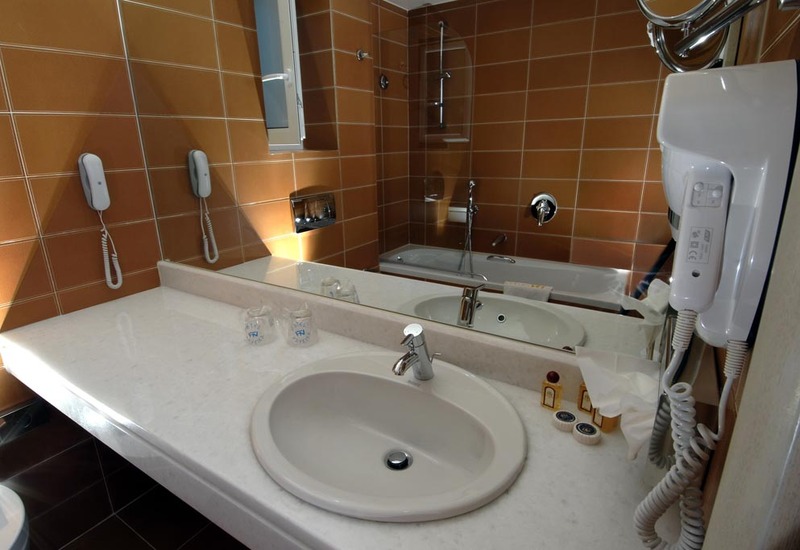 The marble Bathrooms are luxuriously furnished with a Telephone extension and Dual Voltage Socket (220/110V). 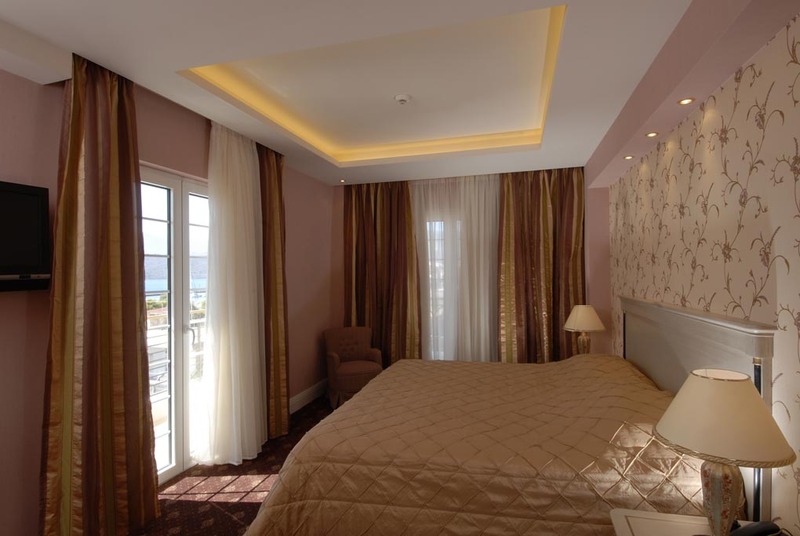 The Rooms are designed in contemporary style with a touch of French elegance. Visitors may choose between the pink taffeta wallpaper rooms or the powder blue ones. Most rooms have a sea or a mountain view and a spacious balcony.